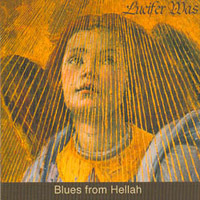 This third album from the Norwegian progressive legends LUCIFER WAS offers a well though album that contains a little more blues influenced style. It is also more symphonic as they add more orchestration than before. The flutes and dreamy vocals are as present as always, with a clear JETHRO TULL influence. Mr Axeman delivers some excellent bleeding guitar solos, especially in the CAPTAIN BEYOND cover "Armworth". This is a release filled with magic and love for the 70's scene - a time when music had no limits. Highly recommended!